The JIB was created the standards for employment, welfare, grading and apprentice training in the electrical contracting industry. 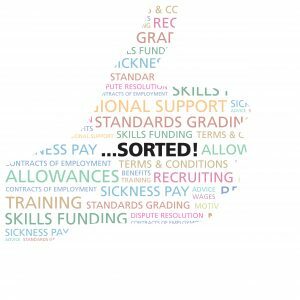 The organisation explains that its members benefit from a ‘one-stop-shop’ which takes care of employment matters, a comprehensive health and benefits scheme and access to markets other contractors cannot reach. The JIB says membership helps companies grow armed with a qualified, motivated and stable workforce. JIB membership is designed to help companies get every element of employment sorted: employment terms and conditions, employment benefits, including healthcare and insurance protection, financial support for training, free employment advice and dispute resolution, plus unique access to new business. The organisation also promotes its JIB Apprentice Exchange Programme. The most recent winners of this scheme were recently announced as Joshua Horton of RB Emerson Group Ltd and George Stickings of T Clarke plc who will get the chance to spend six weeks working Australia. The two candidates were chosen following a challenging selection and interview process. Usually the Apprentice Exchange can only select one winner per trip but, thanks to a new partnership arrangement, the Electrical Industries Charity is funding a second placement to allow two students to benefit from this once-in-a-lifetime experience. The 2017 exchange is a tripartite programme that will also see two American apprentices visit England later this year and two apprentices from Australia travel to New York. The scheme is being run by the JIB in conjunction with training provider JTL, the Electrical Contractors’ Association, Electrical Industries Charity and the Unite Union, the first three of these are also supporting ED&I and will have a presence on the show-floor. ED&I visitors can benefit from a full person to person run down of everything the organisation can offer on Stand 92.